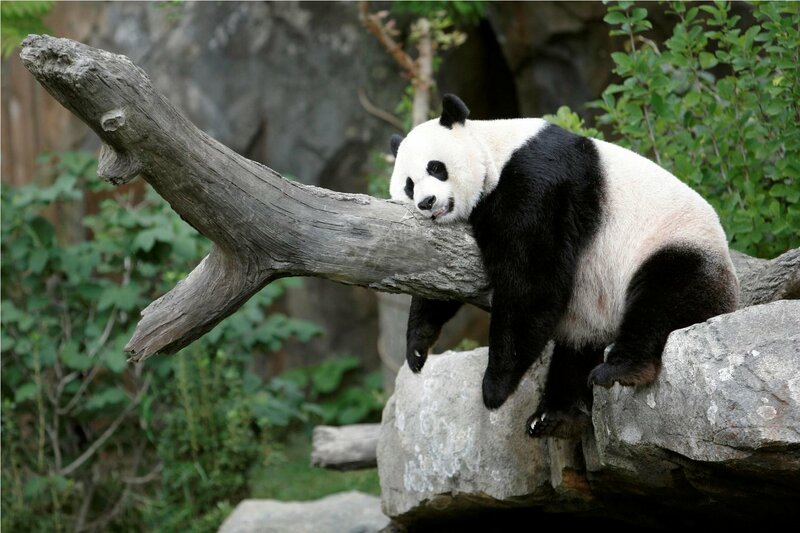 Finding the best memory foam mattress can be strenuous task. There are hundreds of option available in the market. We have reviewed five best foam mattresses and looked into each and every one of them so you don’t have to. Please, note that these are all foam mattresses. The difference between a foam mattress and other types of mattresses is the ability of the memory foam to bring greater support and, ostensibly, a greater level of comfort compared to, say, a classic inner-spring mattress . Without further ado, let’s get stuck in. 10 Queen Mattress by MemorySPA. Coming from a renowned mattress manufacturer, Latex & Gel Memory Foam Luxury Mattress is just what it says on the tin. Like most of the best foam mattresses, this item is not a “true” foam mattress, meaning that it contains some other materials. This is not to say it is a hybrid, as it does not combine features like springs with its foamy comfiness. Its eleven inches contain three distinct layers, each contributing to a night of undisturbed (if you so choose) sleep. Going from bottommost upwards, we find 7.5 inches (some 19cm) of extra dense core intended for support, which is lauded for being quite durable, yet comfortable. Atop that lies the 2-inch (around 5cm) gel-infused layer of memory foam whose purpose is to reduce pressure and minimize movement during sleep. The final, topmost layer is the soft source of your nocturnal comfort, measuring at 1.5 inches (app. 4cm). It is made of premium latex and will contour to your body in a most natural way, andgiving your neckmuch needed rest. The foam acts as if it knows which areas need only cushioning, and which are in dire need of support, and adjusts accordingly. Additionally, the top layer has admirable cooling abilities, and will make a difference if you happen to perspire profusely during your nocturnal (in)activities. With this mattress under you, you will never lose sleep. The mattress comes in six different sizes (Twin, Twin XL, Full, Queen, King and California King), with Queen measuring at 80 x 60 x 11 inches (203 x 152 x 28 cm). There should be no problem with room lying on its cloudlike surface. Total weight of this set-up is about 85 lbs. (38.5kg). It may not sound as much, but it would be advisable to have help when moving this baby. Speaking of numbers, the Latex Mattress & Gel Memory Foam Mattress comes at a fair price of $750.00 in its Queen variant. This item is best complemented with matching foundation also made by GhostBed, which is sold separately. As for miscellanies, the mattress comes with a 20-year warranty, which amply reflects the confidence GhostBed puts in this product. In addition to that, the Latex & Gel Memory Foam Luxury Mattress also comes with a zipperedtop-cover, which allows for an easy removal and maintenance. The cover is of fine quality, quite smooth and sports quilted sides, making it quite stylish, as well. Last, but by no means the least, it’s worth noting that this is a true American product, through-and-through. The three layers contribute to your uninterrupted sleep each in its own way. The topmost layer guarantees that each part of your body will receive as much support as it needs, no more, no less, by following and retaining your contours, though, it will eventually “spring” (no actual springs included) back up once you get up. The second layer is designed to act as a pressure-minimizer, and allows you feel like you were floating on a cloud. It achieves this by distributing weight in such a manner that there are no points taking any more or less pressure than others. For its part, the bottom layer is the support, and it is the section that provides firmness to your weary frame. Depending on your weight, you should carefully weigh your options (apologies for the atrocious pun). There are four thicknesses to choose from – 6, 8, 10 and 12 inches. The rule of thumb here says that 10+ inch thickness should accommodate people weighing 200 lbs. and over (about 90kg), while those under this number should be fine lying on an 8-inch mattress. The 6-inch variant is generally considered too thin for adults. (For added comfort, we do recommend the style featured in the title.) Moreover, it comes in six sizes (Twin, Twin XL, Full, Queen, King Size and California King), with Queen lying comfortably at 80 x 60 x 12 inches (203 x 152 x 30cm) and weighing 77 lbs. (a few grams shy of 35kg). The weight makes it easy, if cumbersome, to move on your own. It comes it a price of $279.99, with a 19% discount while on sale. This item comes with a 10-year CertiPUR-US certified warranty, which paints a picture of just how much trust the company has in its product. What is indicated by the presence of a CertiPUR-US seal of approval is that the foams making the product are all free of ozone depleters, mercury- and lead-free, as well as that they do not contain any other type of harmful chemicals such as formaldehyde. The 12-Inch Foam Mattress is also eligible for shipping to select countries outside of the US. As the name suggests, Sleep Master feels confident as a company that it will provide you with the very best you need for a good sleep, perhaps even if you weren’t aware you needed that exact thing. The 14″ Memory Foam Mattress isone-in-a-lifetime deal, withgreat price for what is essentially fourteen inches of the proverbial cloud. Unlike the previous two items, this one has an added layer. As customary, we start from the bottom, working our way up. The foundation of this high-quality mattress is the standard support foam, highly dense and providing firm support. This layer measures 5 inches (13cm).Next you have a layer of high-density foam, which provides the medium between the support and the rest of the structure. This layer corresponds to the previous inmeasure. On top of that you have 2 inches (5cm) of highly responsive foam, which is the great equaliser (in essence, it serves as a pressure-relief system, not unlike the middle layer in most of the foam mattresses). Finally, at the very top, you get another two inches, this time of plain memory foam, though it is not fair to call any memory foam plain. This is essentially what you will interact with, and the layer that is responsible for bracing and memorizing your contours. This item comes in only two sizes, that being the Queen and the King. As previously noted, we will discuss the former. The measures are 80 x 60 x 14 (translated into the Metric system – 203 x 152 x 35.5cm). The weight of this durable and stable piece of comfort comes at about 84 lbs. (just little over 38kg). However, the most amazing number we will associate with the Sleep Master’s 14″ Foam Mattress is the 69% discount you can have if you order while the offer lasts. This makes the listed price an even $275.00, making this deal a steal! 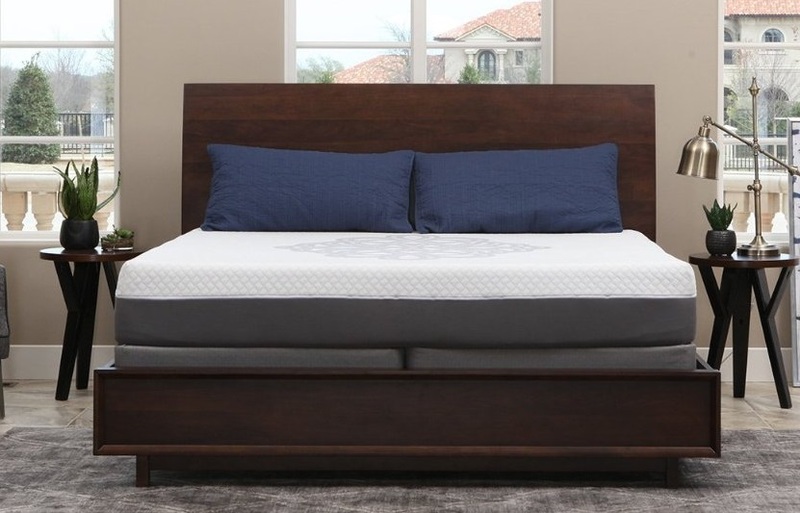 All of the components making the 14″ Foam Mattress are CertiPUR-US Certified, and the item is under a standard 10-year warranty, as most all of the Sleep Master products. Additionally, the item is eligible for shipping via FedEx and UPS throughout the US due to the Sleep Master patented technology of compression. This technology allows the package to be significantly reduced in size. Whether this makes the price to shrink as well is up to debate. You’d think there is not much room for innovations in sleeping surfaces, you would be wrong, to a degree. 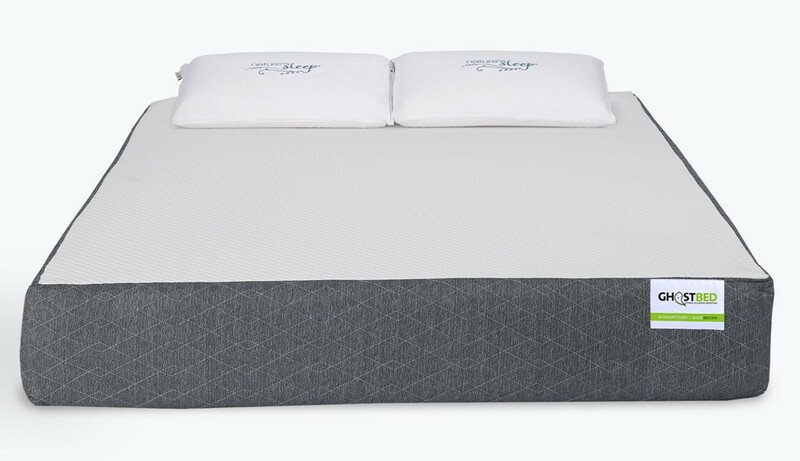 Sleep Innovations is a company that is more than ready to prove that their name does not ring hollow, and the Shiloh 12-inch Foam Mattress conveys this intention to the fullest. Let’s see what exactly the offer entails. Again standing out from the majority of foam mattresses, this item sports two layers, what folks over at Sleep Innovations refer to as DuoComfort Design, and claim it as their trademark. This is an ideal mattress for rough sleepers, as it easily accommodates all the tossing, turning and constant changing of your sleeping positions. The two layers making this durable mattress are specially designed to provide as much support as possible. The bottom layer is 9.5 inches thick (around 24cm), and is made of the type of foam called Support-Plus. Trust is, the foam does exactly what it says on the tin. It is made to be firm, and firmness is what it provides. The top layer is a 2.5-inch (6.25cm) thick mnemonic foam designated as SureTemp. 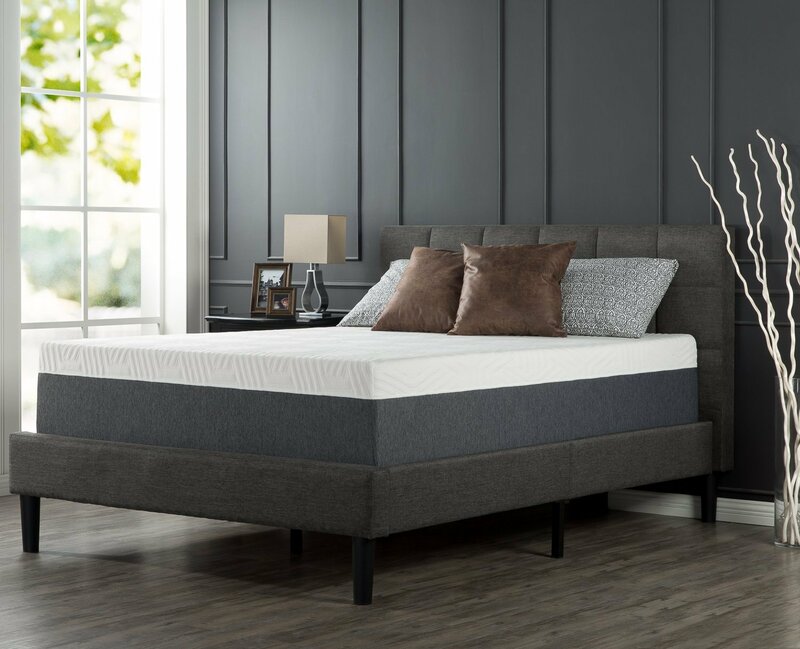 The purpose of this layer is todoes what any memory foam is meant to do – adjust itself to your contours and commit them to memory, so as to provide the optimum level of support your body requires. It is also a dedicated quick-response surface, and will adjust to your shifting and tossing to provide your spine and neck with the greatest degree of comfort you deserve. 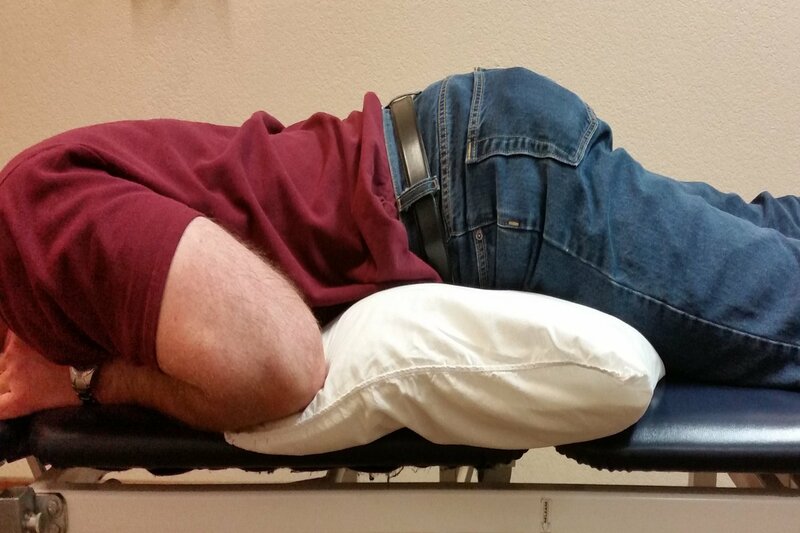 It will most assuredly relieve a great deal of your back and joint pain. The Shiloh 12-inch Memory Foam Mattress comes in all but one of the six standard sizes (Twin, Full, Queen, King and California King), but we will content ourselves with measuring the Queen, as previously stated. The variant is 12 inches (30cm) thick, able to accommodate at least two 6ft 7in people (being 80 x 60 inches – 203 x 152cm). This is one of the heavier mattresses on our list, weighing almost 94 lbs. (which roughly translates into 43 kilograms). As far as the listed price goes, it sits comfortably at $457.28, which puts it top mid-range on our list when considering price tags. However, we firmly believe that it is worth every penny, as it provides peaceful sleep at more than a reasonable price. The company offers a warranty period of 20 years, which is a standard when it comes to Sleep Innovations. This just goes to show how confident the company is, and can be a good indication of the dedicated work and quality that lie behind the Shiloh 12-inch Memory Foam Mattress. For all those hot sleepers out there, here is a sure indication that you haven’t been forgotten. Coming from a company that prides itself on providing the most comfort at absolutely no risk to health comes the 10 Queen Mattress. In fact, it is quite possible that your health will only improve if you choose this for your mattress. Each and every of these mattresses is made on order, which does entail a bit of an extended waiting period. However, it is worth the wait, especially bearing in mind that the company offers delivery at your doorstep. The package is machine-compressed not unlike one of the previous items on our list, which allows efficient and cost-effective shipping. Three out of the ten inches of this eco-friendly product is made offinest, the most resilient memory foam. Not only does this layer give you a good night’s sleep, it provides it without any retention of heat, which is a common enough complaintlevelled at mattresses made of mnemonic foam. The 10 Queen Mattress is available in all of the six standard sizes (Twin, Twin XL, Full, Queen, King and California King), with Queen being the typed we are interested in, for sake of consistency. It is fairly light, weighing some 59 odd pounds (which comes to approximately 27kg), which makes it the lightest on our list. Other measures, as an astute reader may have already guessed, are 80 x 60 x 10 (203 x 152 x 25.5cm). Naturally, you are always at liberty to purchase other size, but be advised that this will like as not mean a change in price. About the price, for this variant, it sits at affordable $355.00, which puts it at the middle in comparison with other models on our list. This exquisite, high-quality mattress stands out in one other regard. It is protected by a 25-year warranty, which might come as a bold statement in and of itself. However, we feel that the mattress more than adequately justifies it. The 10 Queen Mattress also comes with complimentary finely-embroidered covers and soft-knit covers, which adds a certain amount of charm, and a definitive personal touch on the part of the team over at MemorySPA. Surely you have asked yourself – What am I supposed to look for in a quality mattress? This is an excellent question because buying a mattress is a responsible and far-reaching matter. Well, most people agree on three to four things to be essential when deciding on a mattress. First and foremost concern for everyone would be the price, but we recommend that to be the last consideration. It is much better to examine the attributes of the mattress first, things like size, thickness, firmness and layers/composition. Size is pretty much self-explanatory. Thickness influences two things – the price and firmness itself. Usually, the heavier-sat you are, the thicker the mattress you should take. Conversely, should you take a mattress too thick, you’ll get an uncomfortable, sinking feeling. Moreover, the thickness also affects the price – the thicker the mattress, the more material it uses, hence – greater the price. To continue – most foam-mattresses use multiple layers, the topmost being the foam itself, naturally. Due to the recent complaints that memory foam retains heat all too well, some of the newer types are infused with cooling gel to help with this problem. Additionally, you should consider the warranty which, pretty much, should be a good indication of the lifespan you should expect from your mattress. Finally, you should not confine yourself to just one source – in addition to customer reviews, you should also consider recommendations coming from the companies. Manufacturers are acutely aware of their reputation and are keen to keep/improve it. You could go for something cheap, but it would be ill-advised to stinge when buying something as important as this. How We Found The Best Foam Mattresses? 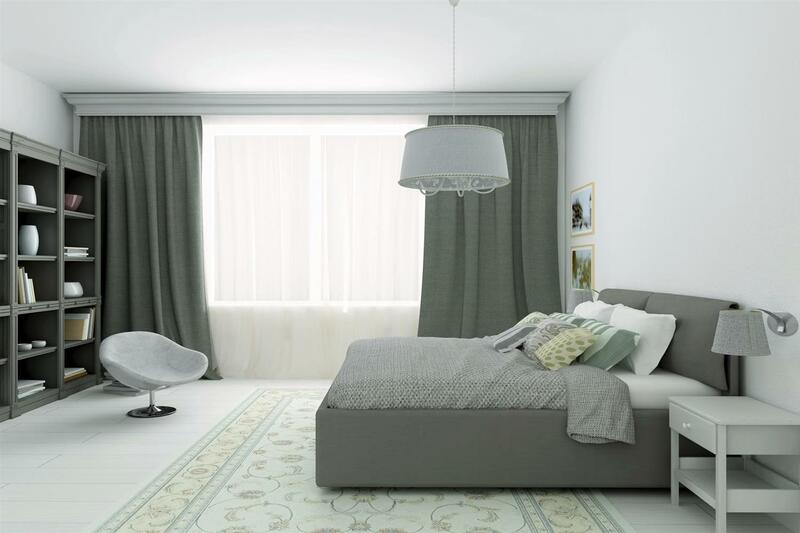 In order to single out the finest item of this niche, we took a string of contributing factors into consideration – first and foremost, the quality of the mattress, and secondly value for money. Some of the factors that determine the quality are thickness, additional layers, materials used in production, overall level of craftsmanship and more. Proceed further to the meaty bit! We compared five more or less different models of mattresses also you will get memory foam mattress reviews and came to the conclusion that it would be unfair to treat the list as ordering them from best to worst or vice versa. In other words, there is a category at which each and every one of them excels. Most importantly, these are all purchases you cannot regret and valid contenders for the title of the best memory foam mattress on the market today. For the sake of consistency, we will begin with the first item – the GhostBed’s Latex & Gel Memory Foam Mattress. This is certainly the most expensive item on this list, but the price tag is there for a reason. The gel top layer feels cool at all times, so it is perfect for all those that sweat profusely during night-time, be it sleeping or engaging in other activities. 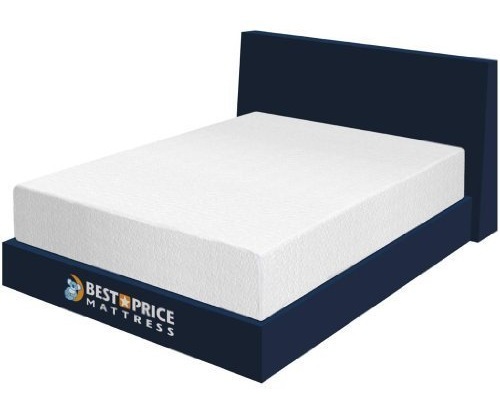 Next item comes from Best Price Mattress, and it is on all accounts, a definitive all-rounder. What is implied by this is that it offers a comfortable sleep at a great price, with a CertiPUR-US seal of approval and a 10-year warranty to boot. The third item is Sleep Master’s 14″ Memory Foam Mattress quadri-layered piece of the proverbial cloud. When it comes to quality at a bargain, this is the victory. Our fourth item is Shiloh Memory Best Memory Foam Mattress coming from Sleep Innovations, and it is by far the best thing on this list for all those rough sleepers. It provides firm support, and at a great price, too. Finally, we wind up this list with the item that comes in the middle as far as prices go, but is by no means average. With swift delivery, high-quality make and a 25-year warranty, this is a real gem. However, don’t take our word for any of this. Try for yourself and thank us later!